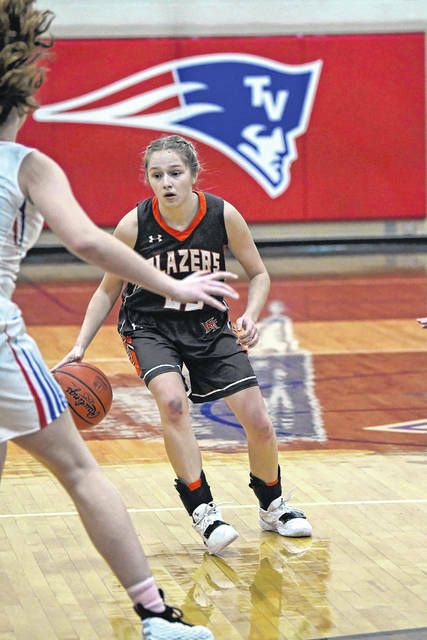 Makena Laird led National Trail with five points in the Blazers game at Tri-Village on Thursday, Jan. 17. Trail saw its record fall to 9-7 with a 54-13 loss. 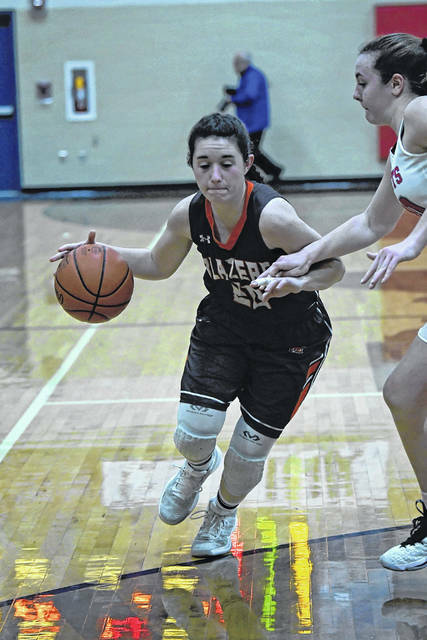 NEW MADISON — National Trail’s girls basketball team was held to a season-low 13 points and suffered a 54-13 setback at league-leading Tri-Village on Thursday, Jan. 17. 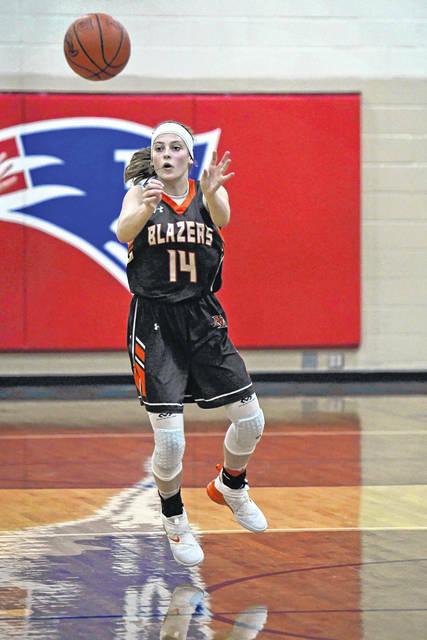 Junior Makena Laird paced the Blazers with five points. The host Patriots dominated play on both ends of the court. Defensively, the Patriots used a zone and a man-to-man defense to frustrate the visiting Blazers, who didn’t reach the double-figure mark until late in the fourth quarter. 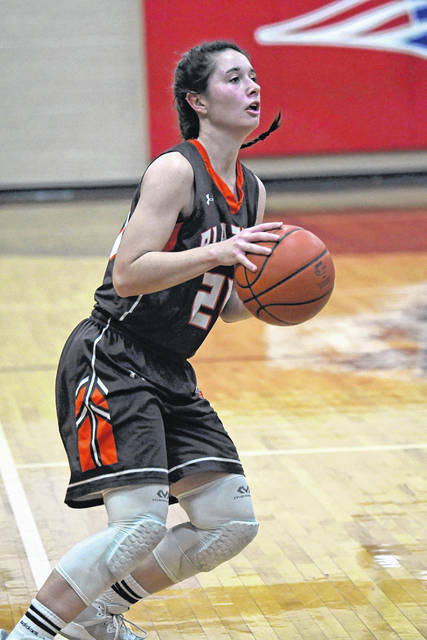 Trail, now 9-7 overall and 3-5 in the Cross County Conference, was scheduled to play at Preble Shawnee on Tuesday, Jan. 22 and will host Ansonia on Thursday, Jan. 24.
https://www.registerherald.com/wp-content/uploads/sites/41/2019/01/web1_ntgbk2-1.jpgMakena Laird led National Trail with five points in the Blazers game at Tri-Village on Thursday, Jan. 17. Trail saw its record fall to 9-7 with a 54-13 loss.